This is a new Blog page for Two Rivers Coalition (TRC).� Kevin Haight, TRC Board Member, will be periodically posting on this page.��If you are interested in contributing a post, please�send Kevin an email. The most basic axiom of environmentalism is that it is a lot easier to preserve an ecosystem than try to fix it after it is broken. The ultimate example of this is the Everglades, where the U.S. government and State of Florida are well into the second decade of a well-intentioned, astronomically expensive, and possibly doomed restoration project. I recently spent some time in Everglades National Park and was then inspired to read an awesome book by Michael Grunwald entitled, “The Swamp: The Everglades, Florida, and the Politics of Paradise.” I think this should be required reading for anyone who is interested in ecology, environmentalism, politics, history, or Florida in general. What I learned during my trip to the Everglades and from reading this book will be the subject of this blog (much like my trip to the arid Southwest last year inspired me to write the “Watersheds” blogs). The first thing I learned about the Everglades is that it is unique in the world. It is not just another wetland; there is nothing else like it anywhere on the planet. This is why it is an International Biosphere Reserve and a World Heritage Site. The second thing I learned was that you can’t appreciate it from your car or even the boardwalks that give you amazing views of wading birds and alligators. You have to put on old tennis shoes and long pants and follow a ranger out into the sawgrass. When you look down through the ankle deep water, you immediately notice how clear it is; not what you expect in a “swamp”. What’s more, this water is not stagnant; it has an almost imperceptible current. These characteristics of clean, clear water moving ever so slowly across a shallow plain of sawgrass are the foundations for the unique ecosystem. 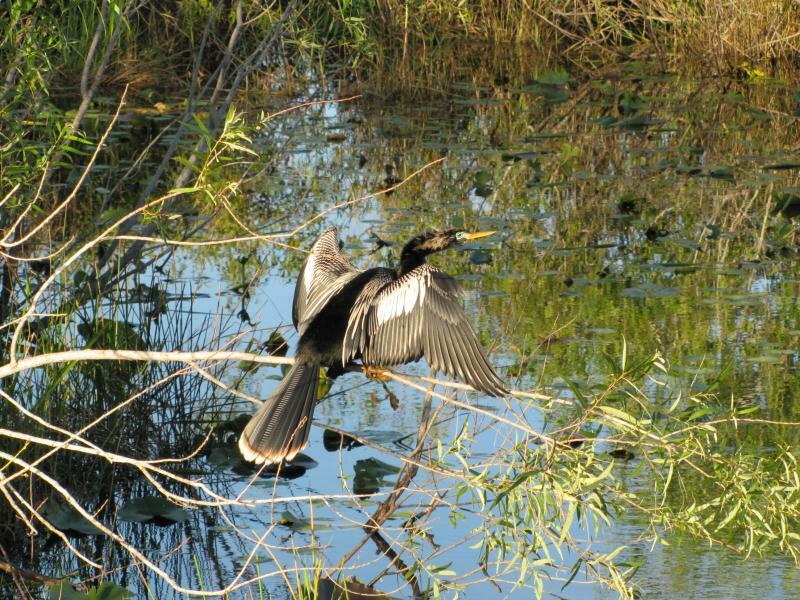 Hydrology is the key to the whole Everglades region which encompasses most of South Florida. 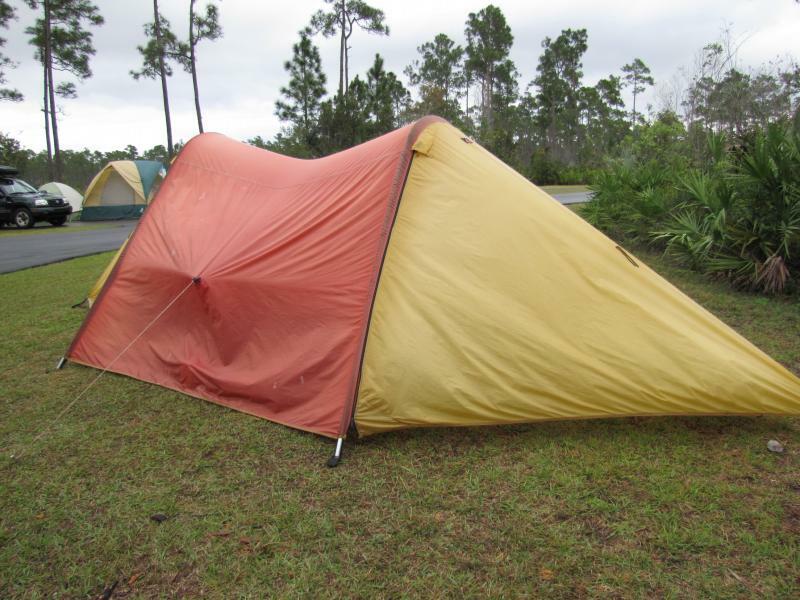 The watershed begins in Central Florida at the southern edge of Orlando where a chain of lakes and interconnected marshes give rise to the Kissimmee River. Historically, the Kissimmee snaked back and forth for 103 miles across a 2 mile wide floodplain before emptying into Lake Okeechobee. There was no outlet from the lake during the dry season. But every year when the rains fell in the summer and fall, Lake Okeechobee would rise until it overran its southern marsh boundary. Then its water would slowly make its way down what has been famously called, ”The River of Grass” until it reached the sea at Florida Bay. This seasonal watercourse was 40 miles wide, 80 miles long and sometimes not more than a few inches deep as it flowed over limestone bedrock and marl muck soils. Life in the Everglades adapted to the annual wet-dry cycle. Most tourists visit the park in winter during the dry season when animal life conveniently congregates in deeper pools as the shallower parts of the sawgrass prairie dry up. 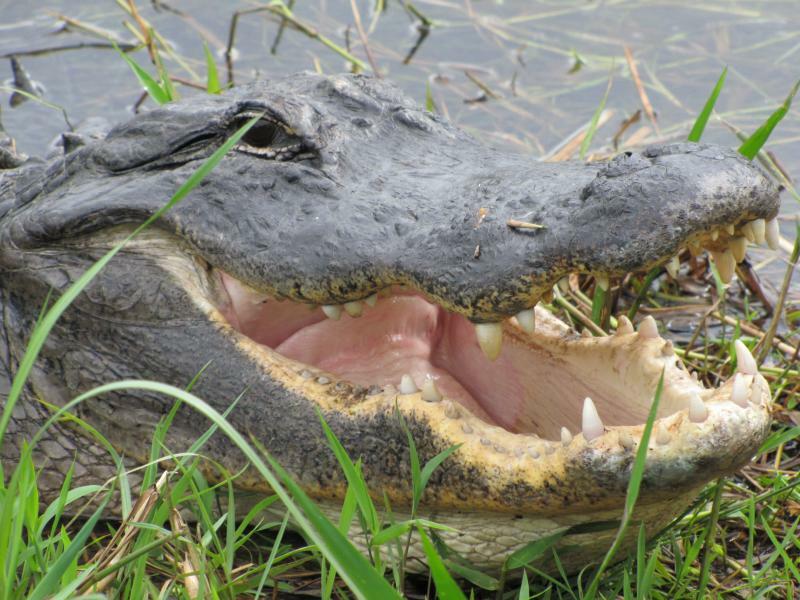 Alligators sometimes help out by digging holes where the deeper water attracts fish and birds. And oh my, the birds! 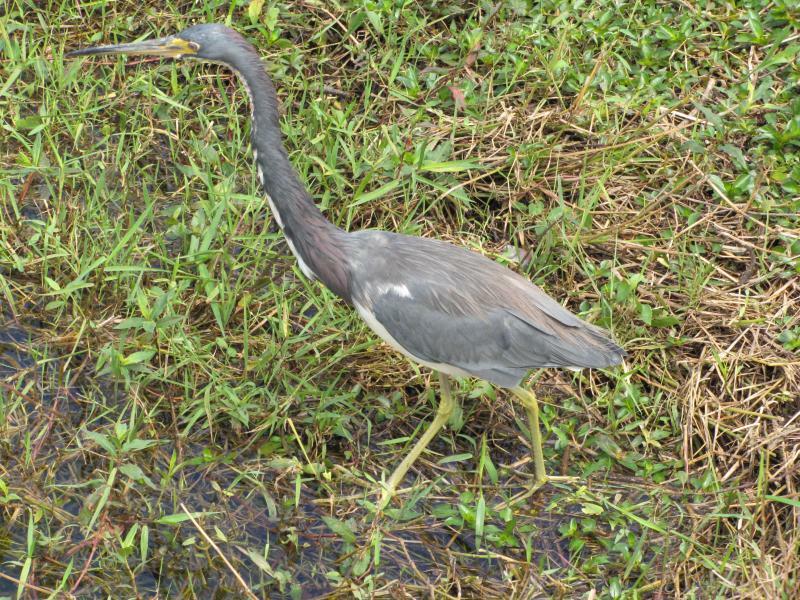 A short walk along Anhinga Trail allows the amateur photogragher amazing opportunities for photos of everything from Wood Storks to White Ibis to Purple Gallinule. [The combined value of the oversized telephoto lenses lugged by tourists from all over the world would probably service the national debt of the average 3rd world country]. So how did we screw up this ecological jewel? The answer is easy, too many people and too much “progress”. People always wanted to drain the swamp but their efforts were pretty ineffectual until the Army Corps of Engineers became involved. First, the Corps straightened and channelized the Kissimmee River, changing a 103 mile long natural paradise into a 53 mile ditch. Then, the Corps built a massive dike all the way around Lake Okeechobee to prevent flooding. Earlier attempts to dike the lake to facilitate farming the rich muck lands south of the lake were fatally insufficient . Hurricanes roared thru central Florida in 1926 and 1928 and destroyed the first flimsy levees, unleashing devastating floods downstream. As many as 2500 people perished in the floods caused by the 1928 hurricane, leading to the involvement of the Corps. Of course, once you bottle up Lake Okeechobee, all that water from the newly straightened and channelized Kissimmee River had to go somewhere. The Corps “solved” this problem in typical engineering fashion by building an elaborate series of canals for flood control and water supply purposes. South Florida is a thirsty place. There are 10 million permanent residents and a whopping 40 million annual tourists, all of whom combine for the nation’s highest per capita water usage. And, of course, that enormous water demand is during the dry season. During the summer and fall nobody visits South Florida, even though that is when 55 inches of rain is falling. So much rain falls then that it threatens to flood the new subdivisions that were built on reclaimed Everglades’ marshland. The solution to this potential flooding crisis every year is to dump the swelling waters of Lake Okeechobee down huge canals that drain into the St. Lucie estuary on the Atlantic and Caloosahatchee estuary on the Gulf. Formerly, these were some of the most productive sport fishing estuaries in the world. Now, they are virtual wastelands. What happened? It turns out that estuary ecosystems require just the right mix of saltwater and freshwater. So when the Corps flushes millions of gallons of freshwater out of swollen Lake Okeechobee every summer (and more often when a hurricane threatens), the influx of fresh (not to mention polluted) water is toxic to the entire chain of sea life in these formerly productive estuaries. Toxic red tides are now a regular phenomenon along the coasts which brings not only environmental harm but also economic costs to the fishing and tourism industries. Meanwhile, Everglades National Park is starved for water. Historically, the State of Florida has managed water flows to benefit its thirsty, sprawling cities and farms with little left over for the park. Sometimes it gets so dry that wildfires burn through habitats that are not able to withstand fire like hardwood hammocks. And the water that does trickle into the Everglades is no longer pristine, it is so loaded with nutrients because of the intensive agriculture around Lake Okeechobee that cattails are rapidly replacing sawgrass in the marsh. 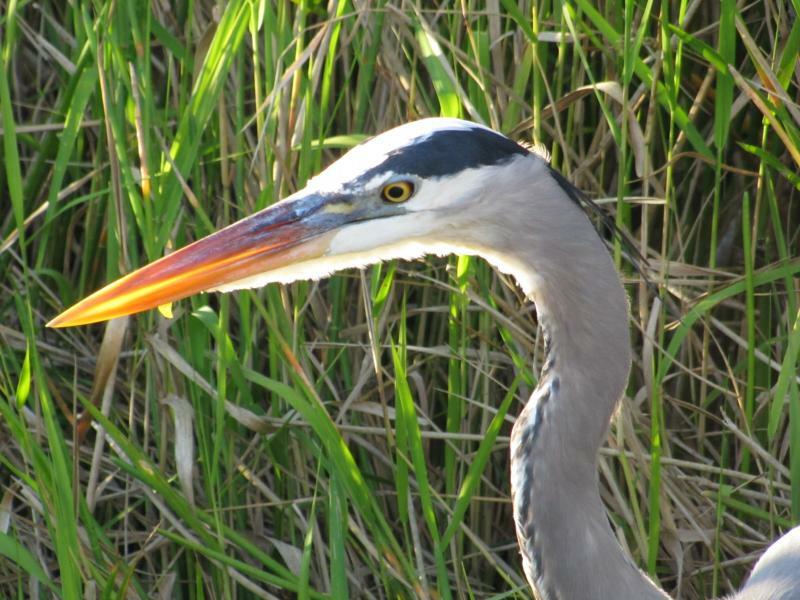 Recognition of these problems spurred development of a diverse coalition to try to save the Everglades in the 1990’s. The Clinton Administration spearheaded an effort that sought to bring together all the players in South Florida (environmentalists, developers, State of Florida water control managers, and the Corps). The goal was a regional restoration plan that everyone could live with. Somewhat amazingly, consensus was achieved sufficient for Congress to pass the Comprehensive Everglades Restoration Plan (CERP) in 2000. CERP purported to balance the water needs of the thirsty Miami metropolitan area with the flooding concerns of farmers and developers in reclaimed marsh areas, all the while taking into account the need for the Everglades to get a consistent supply of clean water. CERP was always long on promises and quiet on the details of implementation. The initial price tag was estimated at 8 billion dollars and the time frame for completion of the 64 separate projects was over 40 years. It has now been 14 years, the price tag is up to 10 billion dollars and very little has been done that has provided any environmental benefits. Part of the reason for the lack of palpable environmental benefits was that they were never the top priority. The first decades of the plan were heavily skewed toward providing water supply and flood control benefits. Another problem is that for any water to ever get through the massive levee and floodgate system and start to trickle down to Everglades National Park, some bureaucrat employed by the State of Florida has to actually open a gate somewhere, thereby depriving a developer or farmer or state taxpayer of water. Another problem is that the Corps has always been better at destroying ecosystems with its massive dam and flood control projects than nursing them back to health. It remains to be seen whether the Corps will develop any institutional ethos for environmental restoration. Of course, the final problem is that billions of dollars doesn’t grow on trees (even in Washington) and funding by Congress has been sporadic in the relatively lean years of the 21st century. So what is the take away lesson here? Don’t break it if you don’t know how to fix it. All the engineering expertise in the world cannot replicate the sheet flow of shallow water that used to gently spill over the southern shore of Lake Okeechobee and slowly flow south in a 40 mile wide river. Even if we get the amounts of water right that the Everglades need, get the timing of the distribution right, and make sure the water is clean--we still cannot reproduce that sheet flow. 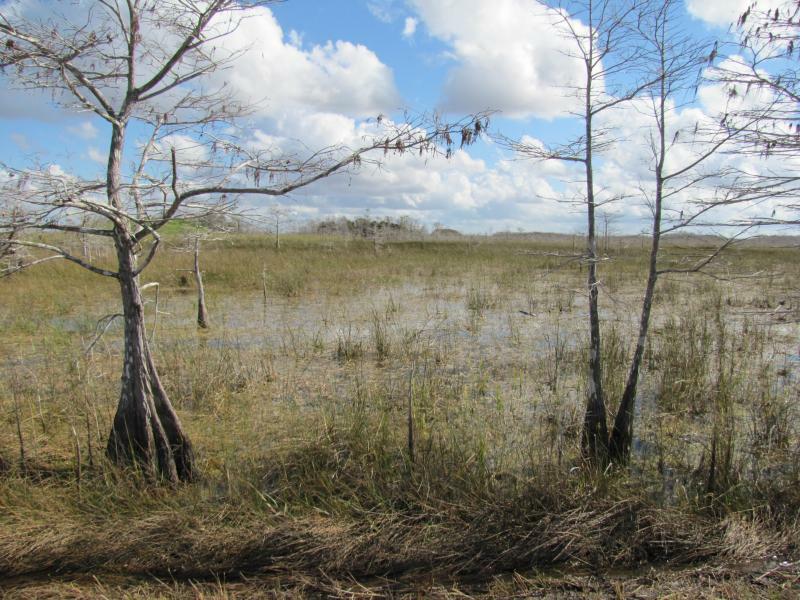 There will always be a disconnect in the hydrology system with canals, levees, and floodgates ineffectually replacing the marshes that once linked the Kissimmee River/Lake Okeechobee upper system with the Everglades sawgrass prairie lower system. Even here in Michigan we know a little about destroying ecosystems on a landscape scale. The White Pine forests that once covered much of Michigan were completely clear cut, leaving a legacy of problems that we are still dealing with over a century later. Massive forest fires followed the clear cutting. Rain and snow run-off then stripped the denuded land of its best soil and filled creeks and rivers with sediment. Farmers in the northern parts of the state struggled valiantly for a generation or two to make a living off the ravaged land but to no avail. The vast amounts of land that reverted to the state because of unpaid taxes eventually provided the basis for much of our state and national forests (which have grown back with more Red Oak then White Pine). As we now grapple with new issues such as fracking and tar sands pipelines under the Straits of Mackinac, you have to wonder if we are imperiling yet more ecosystems that we don’t know how to fix if the unthinkable happens. In closing, I would like to quote from Grunwald’s final paragraph of his book: “Before the war in Iraq, Secretary of State Colin Powell invoked the ‘Pottery Barn rule’ for invading sovereign nations: You break it, you own it. The same rule should apply to ecosystems. We broke the Everglades, so we ought to fix it. ‘The Everglades is a test,’ the environmentalists say. ‘If we pass, we may get to keep the planet.’ It is a test of our scientific knowledge, our engineering prowess, and our political will. It is a test of the concept of sustainable development. But most of all, the Everglades is a moral test. It will be a test of our willingness to restrain ourselves, to share the earth’s resources with the other living things that moveth upon it, to live in harmony with nature. If we pass, we may deserve to keep the planet.” P.369-370.